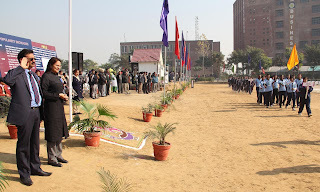 Jalandhar: On getting preferred once again by the Association of Indian Universities, Lovely Professional University has been organizing AIU’s North Zone Inter University Kho-Kho (Men) Championship 2012-13 at its campus. The chief Guest of the day was LPU Chancellor Mr Ashok Mittal, who inaugurated the Championship, today, by hoisting the Sports flags of AIU & LPU. Mr Mittal was accompanied by Pro Chancellor Ms Rashmi Mittal, Vice Chancellor Dr Ramesh Kanwar, International Professors Ms Gillian Gourlay and Dr Devinder Sidhu from the University of Northampton, UK, and University of Wisconsin, Madison, US, respectively. 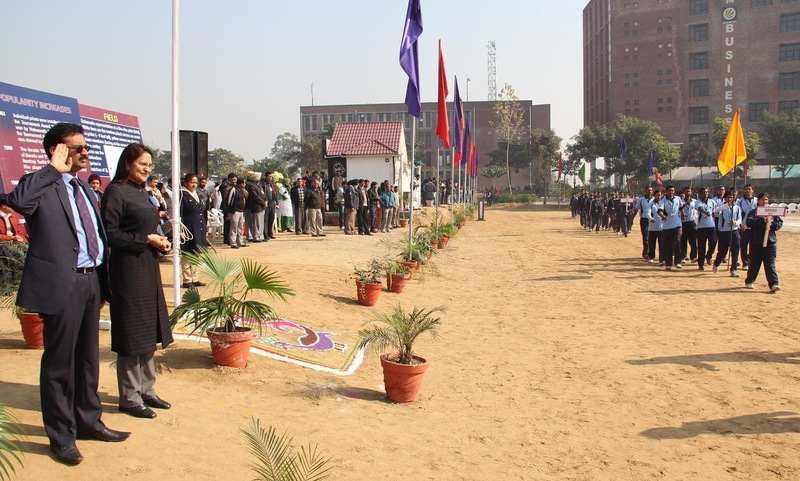 Many contingents constituted of scores of sports officials, 240 players & 40 team managers/coaches from 20 Universities participated in the magnanimous March Past, during the colourful opening ceremony. Following the theme of the game “the Chase begins”, the championship will continue up to 15 January 2013. The inaugural day had 8 of the 16 ‘Knock out matches’, whereas six league matches will be held on the last two days, among winner teams from four pools. In one of the knock out matches held today, LPU defeated CCS University Meerut by 13-9. Winning 4 teams of the zone will further participate in National All India Inter-University (Inter Zonal) Kho-Kho (Men) Championship, to be organized, again, by LPU from 25 to 30 Jan 2013. On the first day eight knock out matches were played between teams of DSV Haridwar & Chowdhry Devi Lal University Sirsa, and Jammu University & PU Chandigarh from Pool A; LPU Phagwara & Chowdhry Charan Singh University Meerut, and Lucknow University & BR Ambedkar Uni Agra from Pool B; Bundelkhand University Jhansi & HPU Shimla, and GuruKul Kangri Vishvidyalya Haridwar & Delhi University from Pool C; and from Pool D between teams of PU Patiala & CSJM Kanpur on one hand and between Allahabad university & Kumaon University Nanital on the other. Running, Chasing, Judgment Kho, Pole dives, Second Attacks were worth seeing in all the matches. The spectators enjoyed the matches which looked very easy on the surface, but every action of the players required lot of mind, heart and body in unison. Tomorrow, 8 Winners of these four pools will go for next 4 knock out matches between two teams each from the respective pool. The statement of purpose help is belong to these universities and colleges. This looked so nice.